While the thought of filing for bankruptcy is certainly never what anyone ever thinks they will have to do someday, there are times when there is really no other option for handling overwhelming debt. For certain individuals in New Hampshire who find that they are not eligible to file a Chapter 7 bankruptcy, a Chapter 13 bankruptcy may be a viable option to stopping creditor harassment. In addition, a Chapter 13 bankruptcy can provide you with an opportunity to save your home from foreclosure by giving you three to five years to become current with your missed mortgage payments. Chapter 13 bankruptcy is known as a wage earner’s plan. If you have a regular income, a Chapter 13 Plan will help you reorganize your debts and keep your property. Under this chapter, you will make a single monthly payment to the Chapter 13 Trustee over a period of three to five years. The repayment plan usually includes missed mortgage payments or car payments, as well as outstanding tax debt. Rarely do you have to repay your unsecured creditors in a Chapter 13 bankruptcy, unless you can afford to do so. If your monthly income is less than your state’s median income, the payment plan can last as little as three years. If your monthly income is greater than your state’s median, the payment plan generally must be for five years. During the repayment period, creditors are not allowed to start or continuing collection efforts, without permission from the bankruptcy court. Chapter 13 cases can be complicated and require an experienced attorney to review your case before filing. Chapter 13 may offer you an opportunity to save your home from foreclosure or eliminate your second mortgage. By filing a Chapter 13 bankruptcy, you may be able to get debt relief, stop foreclosure proceedings and resolve delinquent mortgage payments over time. You may also be able to keep assets that you are unable to exempt as part of a Chapter 7 bankruptcy filing. While it can be very difficult to admit you can’t deal with your financial problems on your own, Attorney Kelley understands these feelings of defeat that often accompany someone when they reach out to a bankruptcy legal professional, and he will work with you to help you devise a plan to deal with your overwhelming debt. He takes a compassionate approach to legal representation and sees the whole picture of how you came to be in this difficult position. With guidance from Attorney Kelley, you are more than a credit score or a list of creditors, you are a person in need of help, a person who deserves the professional guidance to give you a second chance and the opportunity for a new financial life. 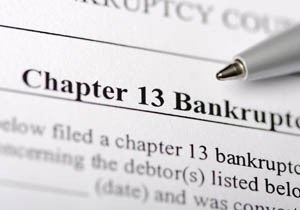 If you are considering bankruptcy, contact Attorney Kelley to help determine if Chapter 13 is the correct choice for you.